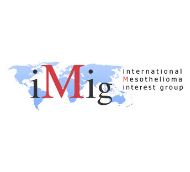 The biennial International Mesothelioma Interest Meeting 2020 will take place in Brisbane, Australia in May 2020. This multidisciplinary meeting will bring together over 500 delegates from around the world, and feature the most up-to-date research, diverse topics of interest, and educational sessions with leading experts. The meeting will offer plenty of networking opportunities with leading scientists and researchers, friends and colleagues.